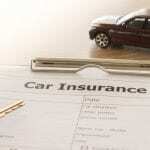 We provide a face-to-face experience for obtaining the insurance quotes you need for peace of mind. Getting the right insurance quotes for your needs isn’t just about selecting a reliable insurance company and comparing rates. It is about being matched with the right coverages for your needs and that takes working with someone who provides personalized attention. That is what you’ll find when you call us at Curtis Helms Insurance. We are proud to serve the Charlotte, North Carolina area with insurance services that take into consideration your unique situation. We take the time to learn about you, your risk tolerance, and the various types of insurance quotes you need. Whenever possible, we’ll match you with an insurance bundle that saves you money on premiums and creates a comprehensive insurance package that fits your needs. Whether you are looking for insurance that is mandatory, such as auto liability and home insurance for a mortgaged property, or added coverage to minimize risk, we can assist you with obtaining insurance quotes for auto, home, life, and commercial insurance. Our goal is to provide you with insurance that provides peace of mind should the unthinkable happen, so you and your family won’t suffer a financial burden that is difficult to recover from. If you have questions or would like insurance quotes, don’t hesitate to call us. We can discuss your situation over the phone or schedule a consultation at our office to provide you with the personalized experience you deserve. While you could get insurance quotes from a faceless source on the internet, we believe our face-to-face experience is the best way for you to obtain the coverage you need. Call today to see for yourself how we’ve developed and maintained a stellar reputation for quality insurance services.